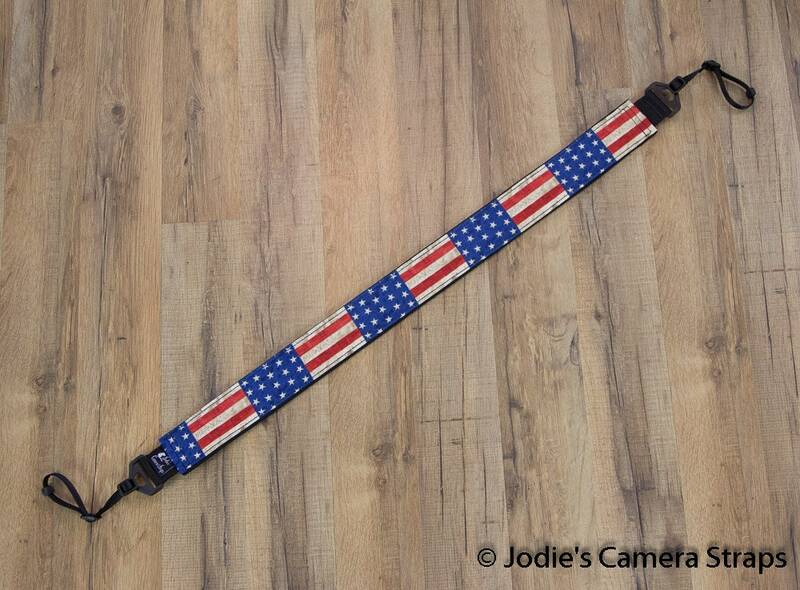 This is a patriotic camera strap in nice Americana Flag fabric. 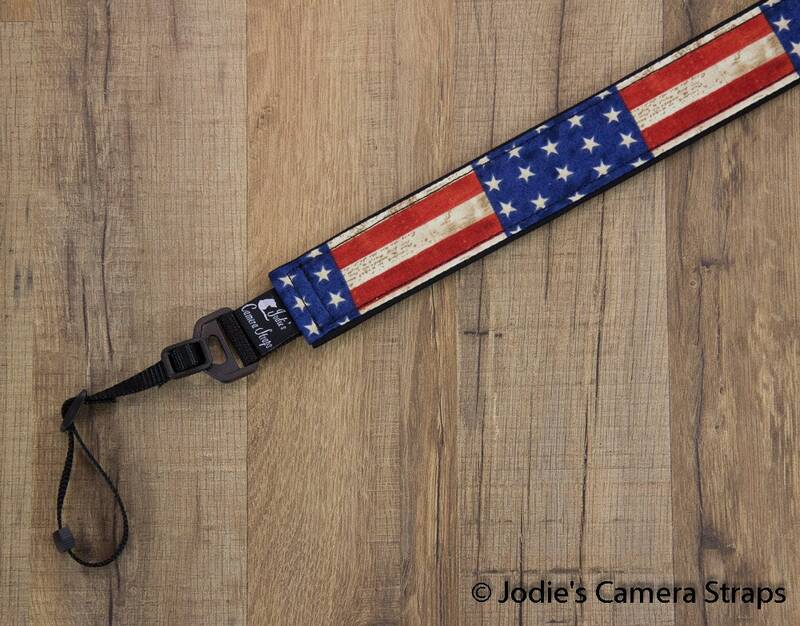 Very high quality and well made camera strap. 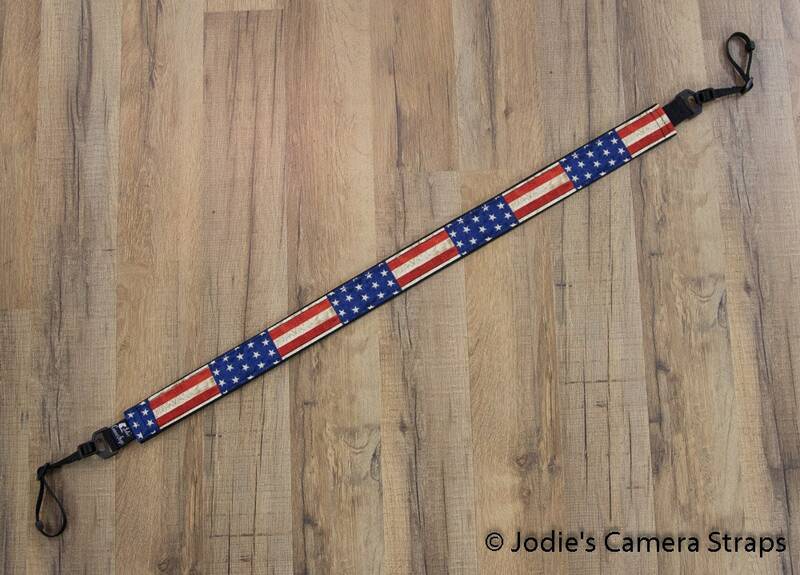 Jodie was an incredible seller and had prompt communication with me with whole time my strap was being made. 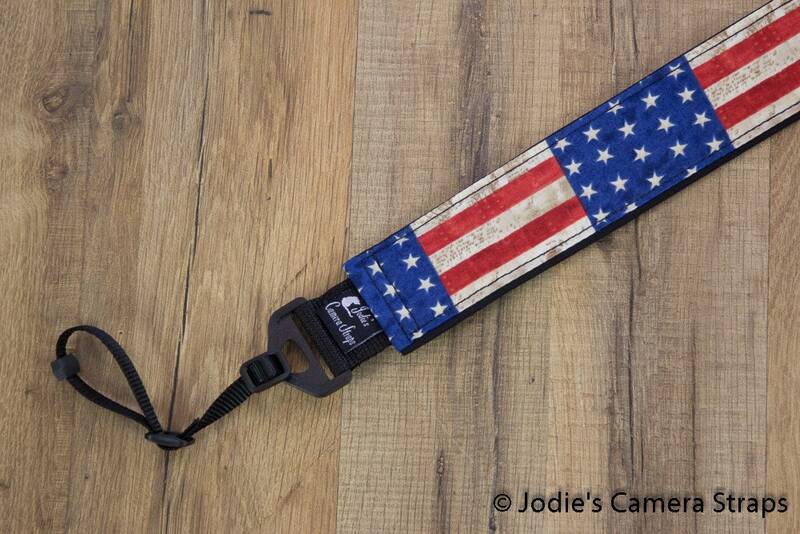 I definitely recommend buying from her page.